4 In 1 Ocean Double Lane Combo for Dry Use. 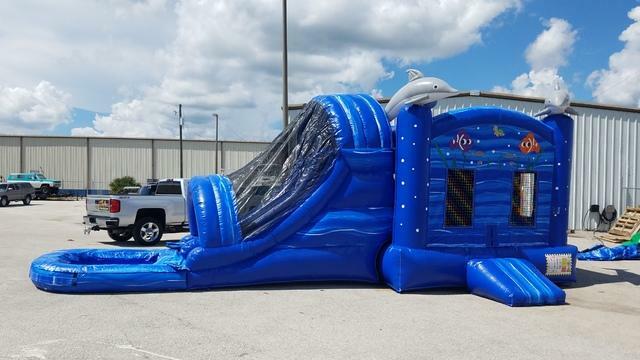 4 in 1 Ocean Combo Inflatable available for all Party Rentals in Lakeland, Winter Haven and many other Florida locations. 13 x 13 moonwalk, climb and slide comes as a dry only unit for hours of fun Bouncing Fun. We offer over 60 different themes and 50 different inflatables for your your childs perfect party experience. Shown with pool attached, unit has a stooper attached for dry use.